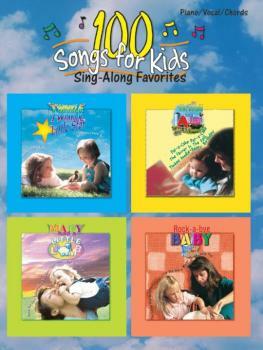 A big collection of childhood favorites designed to encourage parents and teachers to sing along with their kids. A great method for interacting with children through music! Titles include: Baa Baa Black Sheep * Daisy Daisy * Do Your Ears Hang Low? * The Farmer in the Dell * Happy Birthday * Here We Go Round the Mulberry Bush * I'm a Little Teapot * Jack and Jill * London Bridge Is Falling Down * Mary Had a Little Lamb * On Top of Old Smokey * Pop Goes the Weasel * Skip to My Lou * Three Blind Mice and many more.